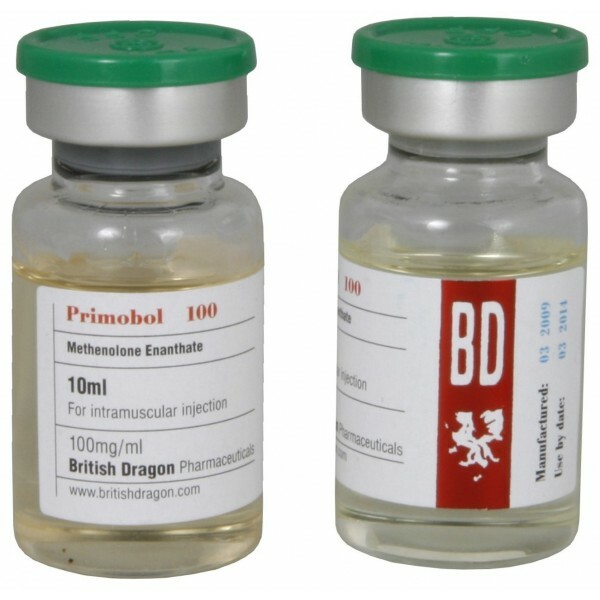 Primobolan Depot is the common brand name for the active ingredient Methenolone Enanthate. Methenolone Enanthate is the injectable version of the steroid methenolone. 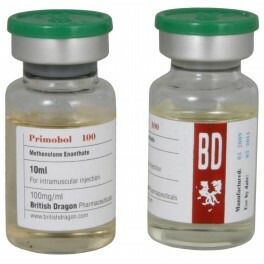 In this injectable version, an enanthate ester is added to the steroid, which makes for a slow and gradual release from the site of injection. Its length of activity would thus be quite similar to Testosterone enanthate, with blood levels remaining elevated for approximately two weeks. Methenolone itself is a long acting anabolic, with extremely low androgenic properties. It's anabolic effect is also quite mild, its potency is considered to be slightly less than nandrolone decanoate on a milligram for milligram basis. For this reason, Methenolone Enanthate is most commonly used during cutting cycles when a mass increase is not the main goal. Some athletes do prefer to combine Methenolone with bulking drugs such as Dianabol, Anadrol, or testosterone however, presumably to lower the overall androgen dosage and minimize uncomfortable side effects. When choosing between Methenolone Enanthate versions, the injectable is preferred over the oral. Since Methenolone Enanthate does not convert to estrogen, it displays many favorable characteristics. Estrogen related side effects should therefore not be seen at all when using this steroid. Sensitive individuals need not worry about developing gynecomastia, nor should they be noticing any water retention with this drug. The gains seen with Primobolan will be only quality muscle mass, and not the smooth bloat which accompanies most steroids open to aromatization. During a cycle the user should additionally not have much trouble with blood pressure values, as this effect is also related (generally) to estrogen and water retention. At a moderate dosage of 100-200mg weekly, Methenolone Enanthate should also not interfere with endogenous testosterone levels as much as when taking an injectable nandrolone or testosterone. At higher dosages strong testosterone suppression will be noticed, as all steroids can act to suppress testosterone production at a given dosage. Here of course a proper post cycle therapy is a must. Side effects in general are usually not much of a problem with Methenolone Enanthate. There is a chance one will notice a few residual androgenic effects such as oily skin, acne, increased facial/body hair growth or an aggravation of male pattern baldness condition. This steroid is still very mild however, and such problems are typically dose related. Overall, Methenolone Enanthate is actually considered to be one of the safest anabolic steroids available. Steroid novices, older athletes or those sensitive to side effects would undoubtedly find it a very favorable drug to use. In addition, it is most popular for male bodybuilders to stack Methenolone with other steroids in order to obtain a faster and more enhanced effect. During a dieting or cutting cycle, a non-aromatizing androgen like Trenbolone can be added. The strong androgenic component should help to bring about an added density and hardness to the muscles. On the other hand (or in addition) we could add Winstrol, another mild anabolic steroid. The result of this combination should again be a notable increase of muscle mass and hardness, but in this case the gain should not be accompanied by greatly increased side effects. Methenolone Enanthate is also used effectively during a bulking cycle of training. The addition of Testosterone, Dianabol or Anadrol would prove quite effective for adding new muscle mass. Of course we would have to deal with estrogenic side effects, but in such cases Primobolan should allow the user to take a much lower dosage of the more "toxic" drug and still receive acceptable results.